Some of my blog posts have lead to responses and reactions that are too interesting not to be published. The many cases where my posts have already been referred to in print compensate the fact that some journalists (and musicologists) think that digital publications "do not really count" and can either be ignored or copied at will. Some comments added greatly to my amusement, because some readers seem to think that on this blog – like on countless others – material is being rehashed that can be found somewhere else on the internet. They soon realize that this is not a blog like any other and my research can rarely backed up by information that has already appeared elsewhere. A rummage through the archives found a document showing the object's provenance. The document said Mozart had owned the snuffbox for 10 years and gave it as a gift to Anton Grassi, a sculptor friend in Vienna. 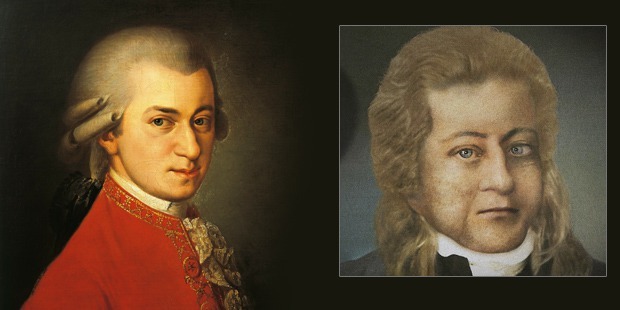 Letters from Mozart indicate that Grassi's brother Joseph, also an artist, painted a miniature of Mozart. Joseph acquired the snuffbox from his brother and attached the miniature. What we read here, quickly takes us down from the spheres of "sensationally new discoveries" to the low grounds of only too well-known dull speculation. The "certainty" that the press release has been bragging about is gone and the shadow of "we don't really know anything for sure" is lying heavily on the the portrait's supposed authenticity. [...] This mysterious "document" (which could not be located by the Mozarteum experts in the course of the yearslong preparation of their current exhibition) is still unpublished. Since (as stated by Dr. Großpietsch) "Mozart owned several tobacco boxes", its provable[!] connection to the box in question remains doubtful. There is no proof at all that Anton Mathias Grassi (b. 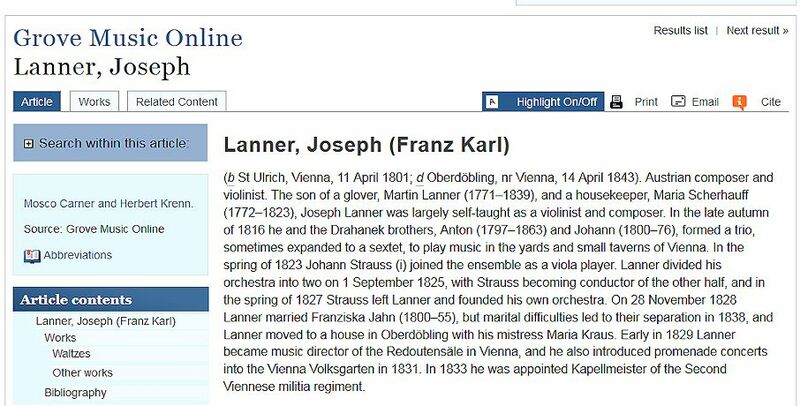 26 June 1755 Vienna, d. 31 December 1807 Vienna) was a "sculptor friend" of Mozart's (as a matter of fact he was a model sculptor at the Imperial Vienna Porcelain Manufactory). To establish a close connection between Anton Grassi and Mozart is an even bigger stretch than the inflation of Joseph Grassi's dancing activities in 1783 into an intimate friendship with the composer. One year later the situation remains unchanged. The document that according to the New York Times was found during "a rummage through the archives" has still not been published. It has by now acquired the taint of a canard. Congratulations, that's a minor sensation! On one hand we are thrilled by your new research results, on the other hand ashamed, because Haydn research for so many decades has simply copied what had been carelessly published. I think it would be wonderful - and an honor for us – if you would be willing to publish this research in our Haydn-Studien, in whatever form. Would it be possible to just do a German version of the blog? We would be delighted to hear from you in this regard! On 22 November 2014 I asked the Haydn-Institut what fee they could imagine to pay for a German article covering my recent Haydn research. I have not heard back from them since and therefore assume that the Haydn-Institut expects me to provide unpaid work. Given the financial resources of its sponsors, the Haydn-Institut can only be congratulated for being blessed with a staff that can afford to work for free. I am not in such a lucky position. My husband has forwarded your letter to me. I am really grateful to you for pointing out the error about incorrectly identifying an image as being of Franz Schubert. I have amended our website accordingly. And you are absolutely correct about our source of information. It is very beneficial to have someone who is so knowledgeable pick up on these slips. We obviously do our best to try and have two sources confirming information but there will, inevitably, be errors. I set up the photo library in 1992 with just a few images. We now have over 300,000 - many of which are from other photo libraries. Obviously the higher the number the greater the chance of errors creeping in. Please do keep in contact with me as your input is very much appreciated. This response, which is a model of true professionalism, makes one wish that all institutions would react this way when made aware of an error. The falsely attributed portrait of "young Schubert" has been removed from the Lebrecht database. Following my letter to the editor of The Musical Times I was invited to explain my hypothesis concerning the identity of "Beethoven's Elise" in an article for the Winter 2014 issue of this journal which would be published together with letters to the editor from Barry Cooper and Rita Steblin. I decided not to make use of this invitation, because I think my hypothesis is of minor importance and for the time being, the "Elise" issue has reached a dead end. As I have stated repeatedly, as long as the autograph of the Albumblatt WoO 59 remains lost, the dedicatee of the piece cannot be identified. My explicit criticism of Kopitz and Steblin was not primarily motivated by my rejection of their "Elise" theories. The identity of this lady is in my opinion far too unimportant. What prompted me to criticise Kopitz were his dubious methods, namely the publication of an untenable, not sufficiently researched theory in the press and the shameless propaganda with sockpuppets on Wikipedia. In Steblin's case it was the irrepressible urge to get her name into the press, followed by a belated publication with a yawning gap in the chain of evidence. 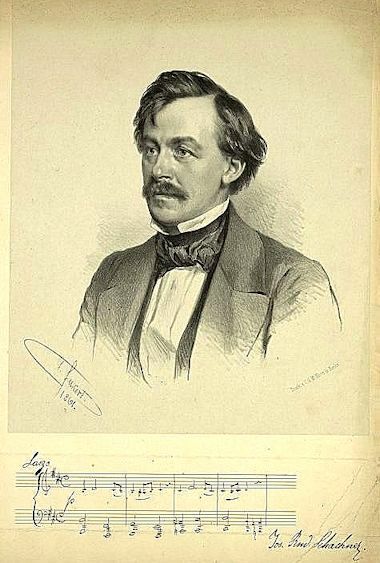 In his article "Eine Bagatelle und andere Kleinigkeiten", which in 2014 he published in volume 11 of the Bonner Beethoven Studien, Jürgen May, an employee of the Richard Strauss Institut in Garmisch-Partenkirchen, brought research on "Beethoven's Elise" to a temporary standstill. He showed that Elise Schachner, the daughter and heiress of the owner of the autograph of WoO 59 Rudolph Schachner, died childless in February 1951. 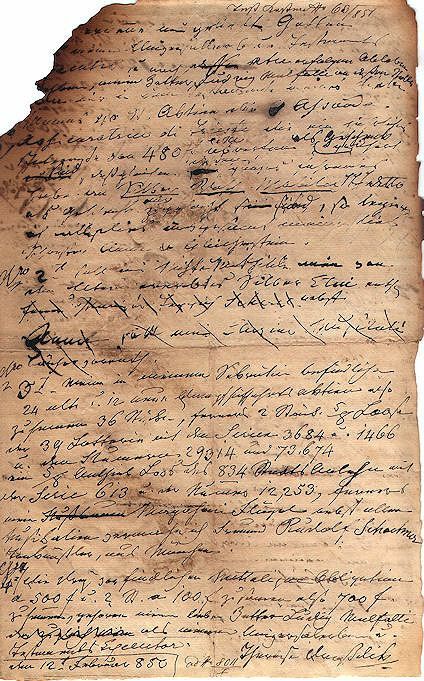 He suggested that the autograph of the Albumblatt may have been put into Schachner's coffin in 1896 together with Therese von Droßdik's letters. 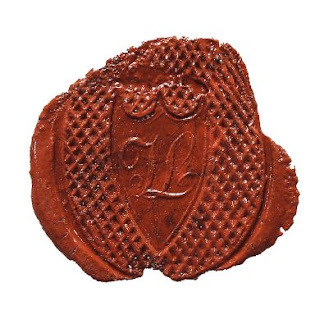 Beethoven's manuscript obviously did not end up with Elise Schachner's friend, the painter and collector of Beethoveniana Gustav Lörincz de Baranyai who for some time was in possession of material from Therese von Droßdik's estate. In the conclusion of his article May, in my opinion, makes an important point: the owner of the autograph Babette Bredl (Rudolph Schachner's mother) had every reason to keep her relation to Elise Schachner a secret. Therefore in return for her permission to publish the Albumblatt she may have requested unconditional discretion from Nohl who may have had no permission to publish completely correct information concerning the inscription on the autograph and the identity of the mysterious "Elise". More entertaining "new solutions" concerning the Elise mystery will surely be presented in the future. After all, each Elisabeth who ever knew Beethoven deserves to have her turn. 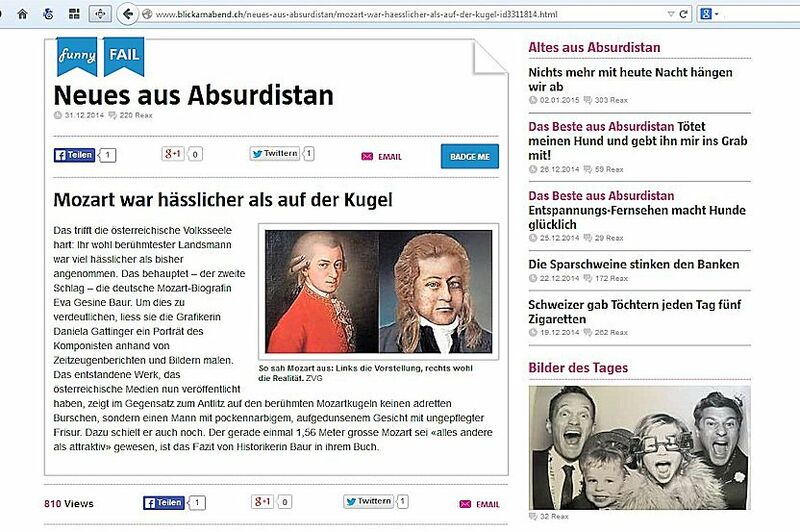 Eva Gesine Baur, who after the publication of her Mozart biography in 2014 apparently craved a little more media attention, commissioned the German graphic designer Daniela Gattinger to draw a portrait of "Mozart as he really looked like" which was published by several newspapers. One can only hope that in the future Baur will put her money into the production of other, equally priceless Mozart curiosities.